Circa 1873. Stately poised in the historic district of Hudson, Ohio, this restored inn and carriage house is featured on the Ohio State Historical Preservation list of Hudson homes and was awarded the Hudson Heritage marker authenticating its construction date and history. 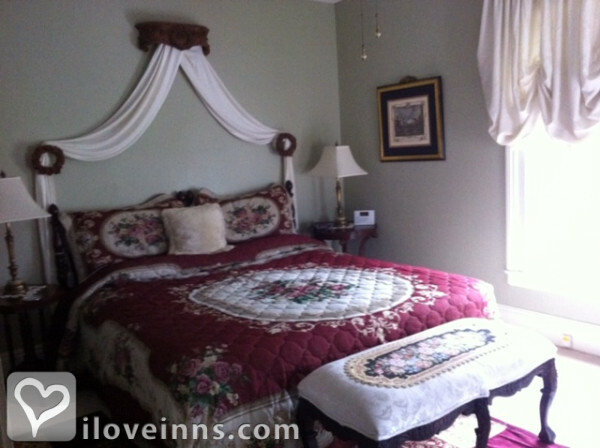 Named after its original owner, the inn boasts incredible architectural detail and character. 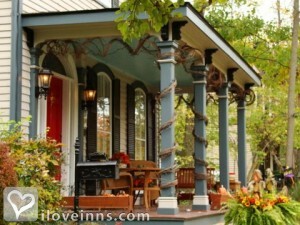 The front porch of the Guest House was painstakingly rebuilt according to early photographs. Cedar and redwood accent custom milled trim for each column and solid oak corbels. 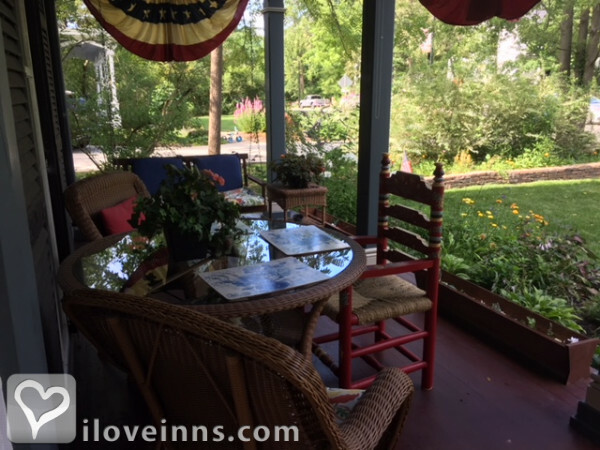 Relax on wicker chairs and a cushioned swing and enjoy the view or sit in the side courtyard with afternoon refreshments. Walk to nearby restaurants and the First & Main Shopping District. Business and leisure stays will both be enjoyable with pleasing amenities, a refined parlour and inviting accommodations on the first and second floor. 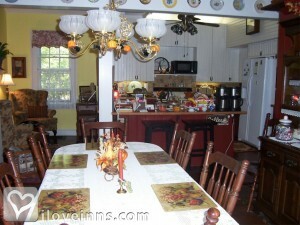 A hearty gourmet breakfast starts each day right in the formal dining room. Payment Types Accepted Include American Express, Discover, Master Card, Personal Checks, Travelers Checks and Visa. 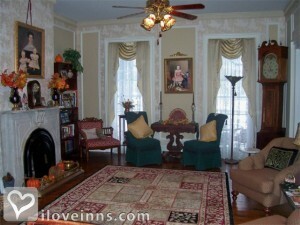 This property has 4 total guest accommodations with private bath, 1 with fireplace, 1 two-bedroom suite. 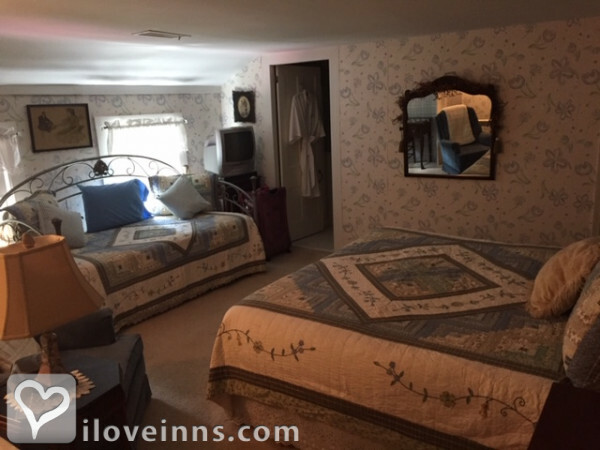 The types of beds available include Double, Twin, Queen and King. Cancellations - Daily Rooms: full credit when cancellation is two weeks prior to scheduled visit, 50% credit with one week's notice and no credit if less than one week. Cancellations - Special Event & Whole House Bookings will be charged a deposit of one night's stay (required at time of booking) Our cancellation policy is 21 Days prior to date of the booking for special event and whole house bookings - deposit of one night's stay will not be refunded. Peak Season requires a 2 night minimum stay on weekends. 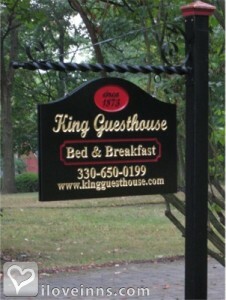 Located in historic Hudson, Ohio, the J.B. King Guest House offers a unique bed and breakfast experience. We are proud to boast a spot on the Ohio State Historical Preservation list of Hudson homes designated as historical and cultural assets. The home was awarded the HH (Hudson Heritage) marker in 1980 authenticating its construction date and history. 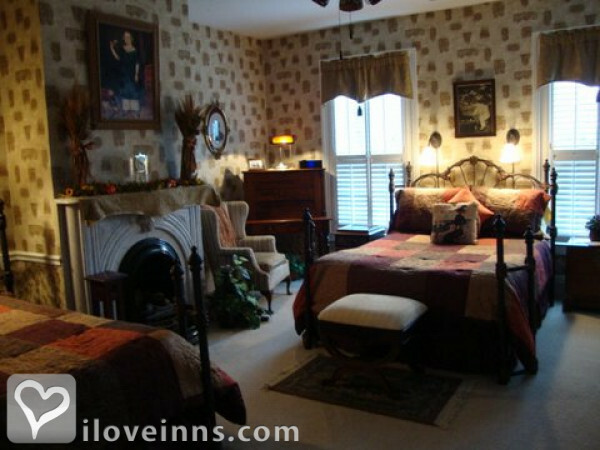 The innkeepers have created an environment that is charming, comfortable and convenient. Featured on the PBS program Odysseys and Ovations -- 2004. 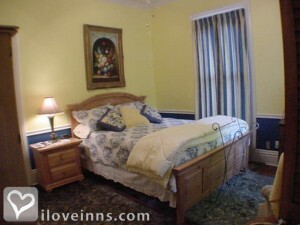 "A great bed and breakfast!"